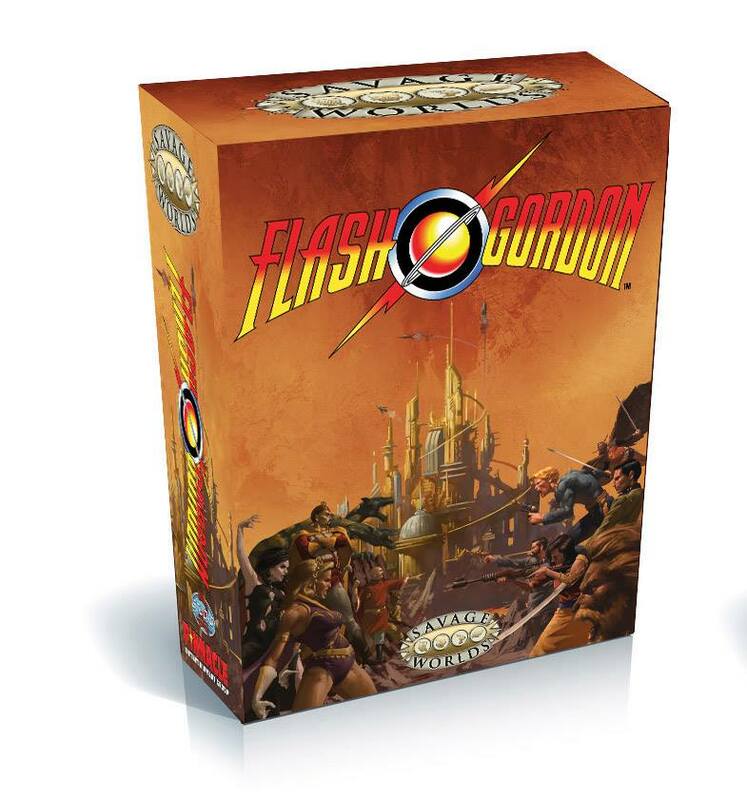 The Savage World of Flash Gordon RPG 192-page hardcover book! Kingdoms of Mongo Sourcebook 192-page hardcover book! Custom Dice with Savior of the Universe Wild Die! A Set of 6 Cliffhanger Cards! A Set of 4 Gorgeous Bookmarks! A Set of 9 Ready to Play Pre-Generated Archetype Characters! A Set of 2 Propaganda Prints! This product requires the Savage Worlds core rules to play.